Renown Italian superyacht builder Benetti has released construction details about the third build in its FB800 custom series, FB803, also known as M/Y Blake. M/Y Blake is under construction at Benetti’s yard in Viareggio and features an interior that is the work of Bannenberg & Rowell Design. According to Benetti’s press release discussing details of FB803 some of M/Y Blake’s highlights include a 60 square meter owners apartment featuring a balcony, overall tonnage below 500 gross tons, a sun deck spanning 135 square meters and a lower deck guest accommodations area spanning 310 square meters with four cabins. The 60 square meter owners apartment includes a study, walk-in closet, head, and private balcony in addition to the bedroom. There is a beach club created via a fold down stern door which creates “a spacious terrace at water level”, according to Benetti. Additionally, M/Y Blake holds two two jet skis in the bow and a 6.3m tender in a side access tender garage. M/Y Blake is being built with a fiberglass hull and aluminum superstructure, a combination which Benetti says allows for more space and increased living area compared to hulls built out of other materials. As is the case with all Benetti yachts M/Y Blake features exceptionally low levels of noise and vibration. The superyacht is powered by twin Caterpillar C32 engines that deliver a cruising speed of 14 knots and a top speed of 15.5 knots. 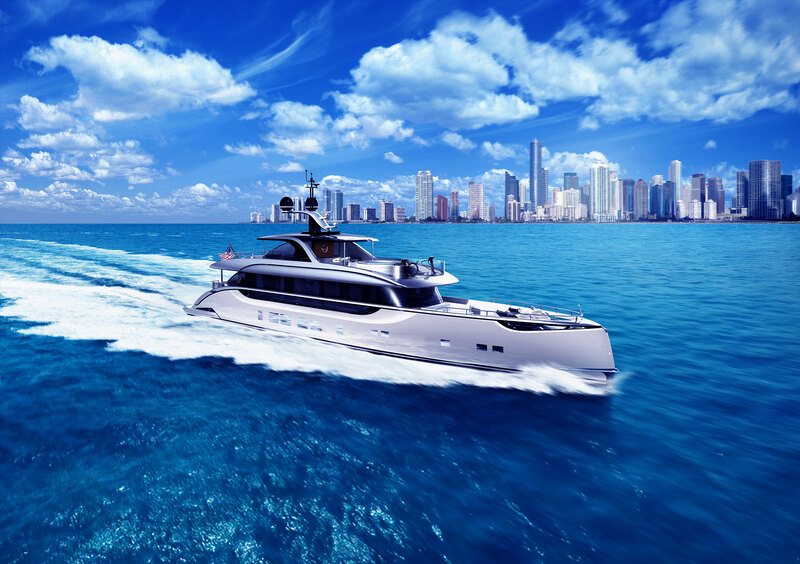 At cruising speed the efficient hull has a transoceanic range of more than 4,000 nautical miles.